Lots of times, we cue lengthening through the crown of the head so that your Levator Scapulae Muscle will get a lengthening action. Thats on one end of the spectrum. Sometimes its to create a release in the rectus capitis posticus minor which feels very ‘destressing’ for a lack of a better word. The semispinalis capitis inserts at occipital bone and inserts c4 thru c7 traversely, t1 thru t7. 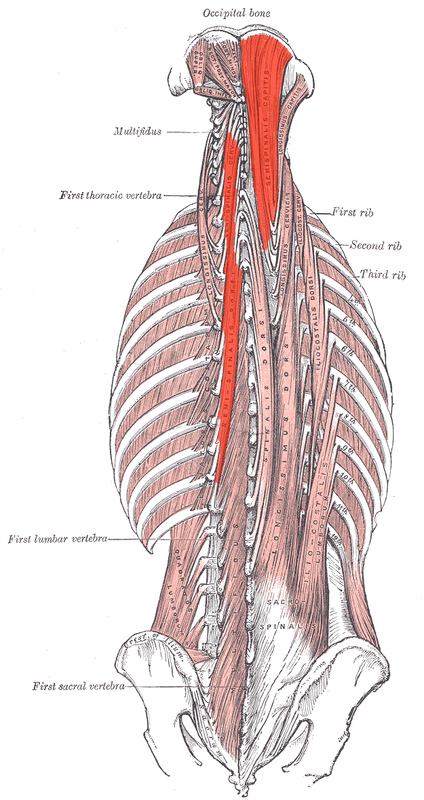 So, the cue to reach through the crown of the head actually engages this long muscle down the center of the thoracic spine. You also have to consider some teachers never study anatomy, they are simply parroting something from a clinically superior teacher. As for safety, EVERYONE can benefit from the CUE to lift the crown of the head. Variations in the degree of movement come into play when you instruct someone to take the head back in an attempt to create a lorthodic curve in the cervical spine because of the differences in Size, Shape, Structure and Distances between the Spinae processes. Eventually, if you arch deep enough, you will find Spinae process on Spinae process compression. Though not bad to a degree, it can be dangerous if you keep pushing it. Though there’s some movement from posterior to anterior in the Cervical vertebrae, Most of it stems from c7. C1 and C2 for the Atlas and the Axis Respectively. This allows Nodding and Rotating of the Skull. By Reaching first through the crown of the head, C1 and C2 are Stabilized. Any remaining Arching movement will stem from C7. We instruct to get as much length possible by ‘Reaching’, and the last cue is always “now take your head back”. We would rather you spend one second taking your head back in a pose instead of continuing to take the head back more and more and more resulting in strain on C1 and C2. There’s really little benefit to dropping the head back in the postures who’s anatomical focus in broadening the shoulders and arching the back. It’s an easy motion, most people without Damage to C1 and C2 can do it. To Summarize, To arch through C1 thru C7, yes, it can be damaging. The theory, is that if you lengthen to the max, you will begin to arch, and as long as you keep the lengthening action as you arch, you will prevent compression along the spinae processes. 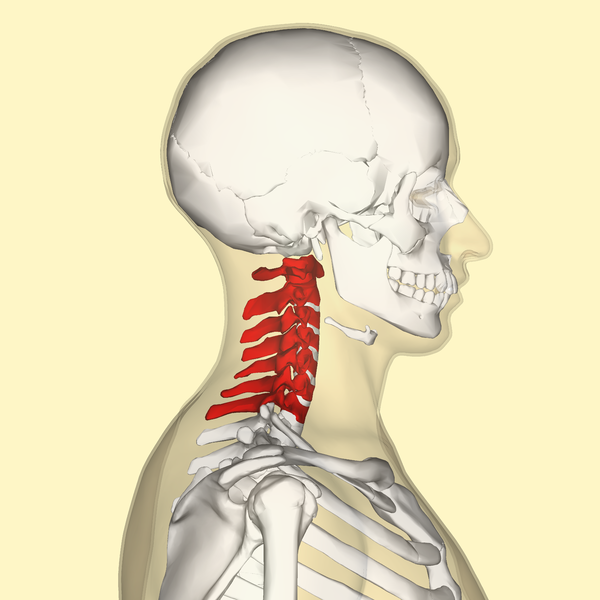 The areas of concern are the vertebrae involved with hyper mobility which are L5/S1, L1/T12, T1/C7 and C1/C2. 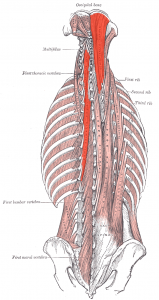 These are the joints which provide the most movement in the spine, and thus, often the most injured. Yoga teachers can’t guranatee safety in yoga. We can’t even minimize it. But we can give the cues, that if followed correctly, will allow you to err on the side of caution. This is why we always ask you to lengthen and reach through the crown of the head. We we say “take the head back last” “Come out of the twist on an inhale, etc.” I hope this helps.